Filing for divorce is a difficult decision that often follows many months or years of problems in a marriage. Most couples do not take divorce lightly, and you’ve likely given it significant thought. In Massachusetts, you may file for divorce if you’ve been living in the state for at least one year. You also can file if the reason for the marriage ending occurred within Massachusetts and you and your spouse are living in the state together. Legally, a marriage ends when a court issues a judgment based on a valid reason for the divorce. In addition to dissolving the marriage, the court reviews related issues (including custody, division of assets, and alimony) before finalizing the divorce. So, before you decide to file for divorce, what should you understand? Before you file for divorce, it’s important to understand its legal terms. For instance, a judgment of separate support significantly differs from a judgment of divorce. Both types of judgments can address custody arrangements, child support and visitation, and spousal support. However, a judgment of separate support and a judgment of divorce require different types of legal paperwork, depending on whether one spouse is at fault or whether a spouse is seeking financial support. In addition, the term “legal separation” (where spouses may live separately without permission from a court) does not apply in Massachusetts. However, spouses can sign separation agreements that serve as contracts. Such agreements can be hard to enforce if they are not filed with the court. Take a look at our glossary for more common legal terms related to divorce. In Massachusetts, you can file for either a “fault” or “no-fault” divorce. In addition, the divorce may be uncontested or contested. 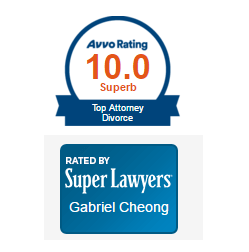 Your attorney will help you choose the type of divorce filing that is right for your specific situation. In a fault divorce, one person is considered to be at fault for the reason the marriage is ending; the divorce filing will list one or more of seven possible grounds for the divorce. Most couples choose to file for a no fault divorce, indicating that the marriage is ending but that neither spouse bears more responsibility than the other. In a contested divorce, one spouse does not want to divorce or disputes the terms under which the marriage is ending. When couples agree about the terms of the divorce, they file their case with the court as uncontested. Filing for divorce involves some costs in addition to legal fees. For example, you’ll pay a filing fee to the Probate and Family Court (for handling the legal paperwork associated with your divorce), and law enforcement authorities in your area also will charge a fee to serve court papers. In addition, consider that a court may award alimony — also known as spousal support — if your spouse is entitled to compensation. If you earn a significantly higher salary than your spouse and you’ve been married for some time, the court may order you to pay some level of support. Many divorce cases are complex and can include a variety of overlapping issues. If you have children, you and your spouse must work out custody arrangements, including visitation, parenting responsibilities and financial support. If you are not able to work out the details amicably, the court will determine the custody arrangements it deems most beneficial for your children. In addition, division of assets can become a source of contention in divorce cases. Bank accounts, real estate, furnishings, pets, vehicles and retirement accounts are among the types of assets that must be fairly divided between you and your spouse. If you have debts that were incurred during your marriage, they will need to be divided as well. Divorce rarely results in clear winners and losers. With so many issues to work through, both spouses typically must compromise and negotiate to achieve the goals they care about most. Before you finally file for divorce, be sure that you have exhausted all other avenues, including counseling and other ways of working through issues with your spouse. If you believe that divorce is the right option in your situation, it’s vital that you work with an experienced attorney. Your attorney will provide guidance and counsel on the many legal aspects of ending your marriage, including what to do before filing for divorce. For a free consultation, please contact Infinity Law Group. ← Should I File for Divorce Then Move Out or Vice-Versa?